Source: Thorny matters: Fair Play – why book fairs? Fair Play – why book fairs? I’ll be taking part in a small flurry of book fairs soon: The Rhondda, on September 3rd, Tenby (which I am helping to organise) on September 24th, and Carmarthen on October 1st. To stand at a stall, offering my wares, might seem a very Mediaeval way of going about things in the days of internet ordering and e-books. Besides, what are bookshops for, if not to provide any book that anyone is looking for? 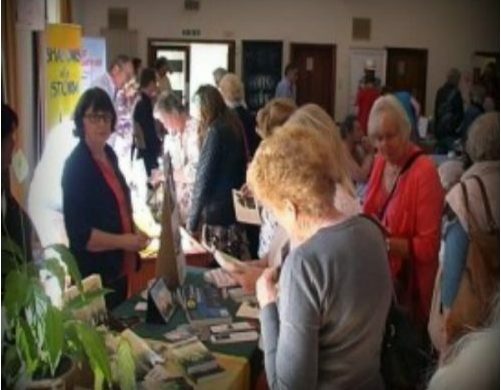 Literary festivals like Hay, with big names addressing crowds of fans are all very well, but why bother with book fairs? The reason is that for most of us authors, such events are the only occasions when we get to meet our readers in the flesh, to discuss our work and hear their opinion. We write for ourselves, mostly, and perhaps to please a publisher or agent, but ultimately, since we choose to be published, rather than storing our work in notebooks under our bed, we write for “the reader” out there, who will devour our polished words. It becomes a somewhat surreal situation if our readers never materialise in the flesh. We need the contact to keep it real. A fair also allows us to meet our fellow authors, in an atmosphere where everything is all about books, and sometimes it’s very healthy to escape the private isolation of writing and remind ourselves that we are not alone. There are other people as obsessed with writing as us. For indie authors, who self-publish, and who want to rely on more than Kindle sales on Amazon, fairs can be almost the only way to put their printed books out there, for people to see. Many bookshops simply don’t stock independent authors. An ISBN number is not enough to get you on the “List.” And for us conventionally published authors, there is no guarantee that bookshops, even their local bookshops, will pay them any attention whatsoever. If you are lucky, you might find a copy of your book, buried in a dark corner, out of sequence, while the front displays concentrate on the highly promoted big names. If you are in the hands of one of the mega-publishing houses, which sees you as a potential block-buster in WH Smiths or on airport concourses, then they might send you off on tour round the country or the world, to meet your readers. They might flaunt your book cover on billboards for you. 99% of authors don’t get that treatment, so we have to put ourselves out there. And that’s what book fairs are for. So do come. We’re a rare breed and well worth gawping at. I’ve had a busy summer working on my next two projects. 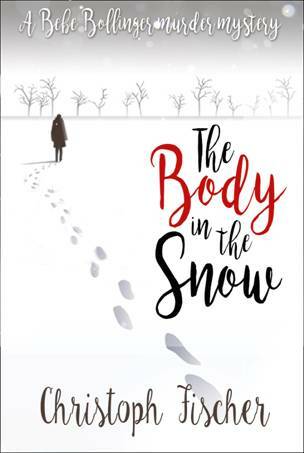 “The Body in the Snow”, a cosy murder mystery set in Wales, and “Cayman Brac”, the sequel to “The Healer”, set on the Grand Cayman Islands. A faded singer and her desperate attempts for a comeback, a highly unprofessional buddhist/ lesbian detective, neighbourhood disputes, scandals and ‘keeping up appearances’ in a Welsh hamlet provide the ingredients for “The Body in the Snow”. I’ve had the idea several years back in a snow-related blackout and had great fun creating the story over the course of three years. I hope to present the novel at the Tenby Book Fair, September 24th 2016. “Cayman Brac” on the other hand is more of a thriller and finds Arpan (from “The Healer”) on Grand Cayman, where he has opened his training centre. Erica catches up with him in her search for the guilty party from book one. The story also brings in Ben Andrews, a character from my other thriller “ The Gamblers”, so you have really two sequels rolled into one. I hope to publish this book by the end of the year. For those of you who haven’t read “The Healer” yet, I have copies of the audio version to give away. Please leave a comment if you are interested or follow this link. The book is currently nominated for “Book of the Month”. Feel free to cast your vote here. Thank You! When advertising executive Erica Whittaker is diagnosed with terminal cancer, western medicine fails her. The only hope left for her to survive is controversial healer Arpan. She locates the man whose touch could heal her but finds he has retired from the limelight and refuses to treat her. Erica, consumed by stage four pancreatic cancer, is desperate and desperate people are no longer logical nor are they willing to take no for an answer. Arpan has retired for good reasons, casting more than the shadow of a doubt over his abilities. So begins a journey that will challenge them both as the past threatens to catch up with him as much as with her. Can he really heal her? Can she trust him with her life? And will they both achieve what they set out to do before running out of time? 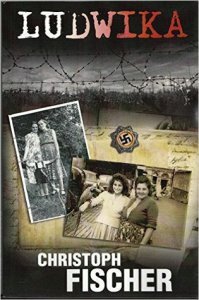 Set during WWII, this is the story of Ludwika, a young woman who makes the heartbreaking decision to leave her family, including her daughter, behind in their small village in Poland and move to Germany where she will work for an SS officer. She goes believing that her friendship with the German will help protect her family through the dark days of war yet to come. Once in Germany however she finds her situation is far from what she had hoped; her position in society is precarious and she must quickly adapt in order to survive and have any chance of being reunited with her family again. While 9/11 is the trigger for a revenge terror plot against Muslims, we meet enough ‘regular’ believers to see how things can be put out of perspective. Such is the genius of John’s writing that he brings this, perspective, into all of his work. 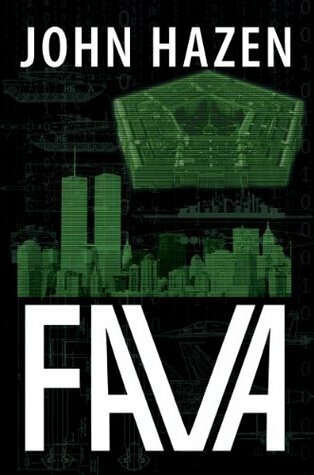 A journalist is a step ahead of the rest of the press when she discovers that the winner of a collossal Lottery jackpot is set to use the money to avenge his brother’s death in the Pentagon on 9/11. The attempt to stop the act of terror involves a lot of action, drama and a lot of twists. I am impressed by John’s versatility as much as I was on the edge of my seat to find out how the story would come to its conclusion. Character depth, solid research and attention to detail are a given with this writer. “Setting the record straight on some wrong believes about Islam and Muslims on the way, this is an excellent polit-thriller, an engaging page turner with depth and a solid plot. Bio: John Hazen came to writing novels relatively late in life, but once he started he hasn’t looked back. 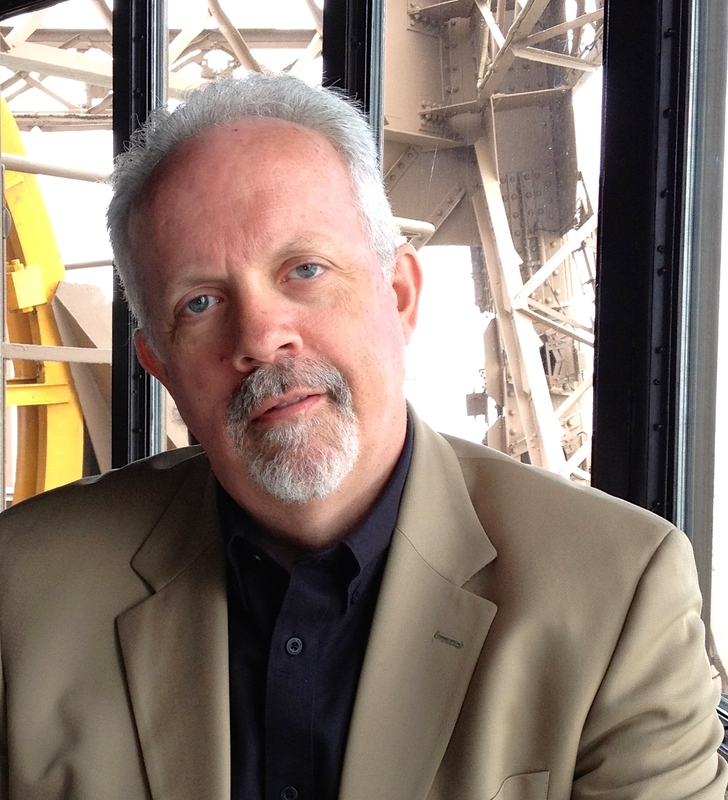 He was born and raised in Massachusetts but has lived in the New York City/New Jersey area for the past forty years. Degrees from Rutgers, The New School and NYU buttress a lifelong passion for learning and a love of history. Inspired by Lynn, his wife of over thirty-five years, he pursued the dream of becoming an established author and is now working on his fifth book. John and Lynn love to travel, and the experiences of those travels find their way into his writing. John’s reading tastes are eclectic, ranging from histories to classic novels to an occasional piece of modern trash. His absolute “must reads” are Harper Lee’s To Kill a Mockingbird, J.K. Rowling’s Harry Potter series and Doris Kearns Goodwin’s No Ordinary Time. Today I have the pleasure of introducing a new talent, Peri Hoskins, whose novel is due for release tomorrow. Welcome Peri. Please tell us a little about yourself as writer and as person. I wanted to be a writer from a young age. I loved reading as a child and was reading novels at the age of seven. At High School I excelled at English, History and Geography. I went to university, and completed both a law degree with honours and a BA in English with sub-majors in Philosophy and Economics. In my first year at university while sitting in 20th century English literature lectures I was in my element. I was too young to write novels then, I needed to live first: have some experiences to write about. Tell us about your writing history. When was the first time you decided to write and when was the first time you did? At the age of thirty I decided to travel around Australia and write a novel about it. I completed that novel 22 years later, in 2016. The book is called ‘East – A Novel’. It will be out as an eBook in August 2016. In 2014 I wrote and published my first book ‘Millennium – A Memoir’. I took the travel notes for that book in 1999/2000. So there has been delay between starting and completing my books. The reason for that is my life, like most people’s lives, has been busy. I’ve been busy earning a living, having relationships and generally living life. And it took time to find my writer’s voice; that came to me later in life. Did anyone influence you / encourage you to become a writer? Many great writers including Ernest Hemingway, George Orwell and John Steinbeck inspired me to become a writer. At school it was generally acknowledged by my teachers that I could write well, and that was encouraging. At university one of my lecturers said I had ‘a good solid prose style.’ He also said it was ‘a little wordy’ and it was back then. In the years since I’ve cut the wordiness back to something pretty lean and economical. I’m comfortable with the prose style I have now. It didn’t come easily. Like most worthwhile things it has been hard earned. Tell me a little more about your writing style. I’m a ‘tell it like it is writer’. I’m interested in getting to the truth of things. My books are not politically correct. You won’t find the truth in political correctness. I’m writing to be an authentic voice that both entertains and makes people think. Tell us about the concept behind your books. How did you get the idea? My books are both travelogue stories based on real life experiences. I’ve found travel conducive to creativity; it frees the mind and frees the soul. The rat on the wheel working life stifles creativity. What is your life like outside of writing? I work as a barrister, which is a self-employed lawyer. I specialise in civil litigation. I think it was Charles Bukowski who said: ‘My heroes are all dead and the replacements seem very shoddy indeed.’ The people I’d like to invite for dinner have passed on. Writers I would invite would include Ernest Hemingway, John Steinbeck, Jack Kerouac and F Scott Fitzgerald. I would also invite the philosopher, Friedrich Nietzsche. I talk about music during ‘East’ including songs like ‘I Walk the Line’ by Johnny Cash and music of the time by ‘The Smiths’ and ‘ZZ Top’. Those songs would naturally fit with the movie of ‘East’. I’m busy promoting ‘East’ and working in my law practice. I’ll get back to creative writing some time soon. I think there’s at least one more book to come. Is there anything you would like us to know about yourself and your books? 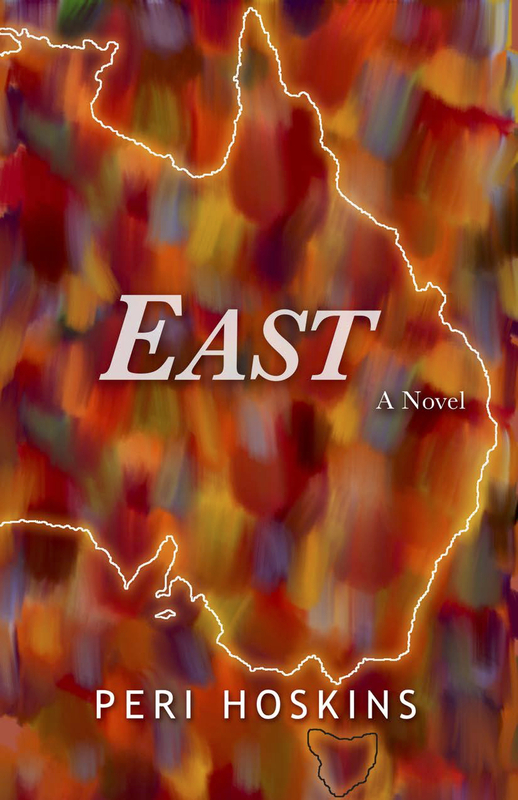 A New York literary agent has read ‘East’ and says ‘its great’ and ‘without question the most anticipated book of the summer.’ I’m looking forward to the release. Peri Hoskins is a citizen of both Australia and New Zealand. 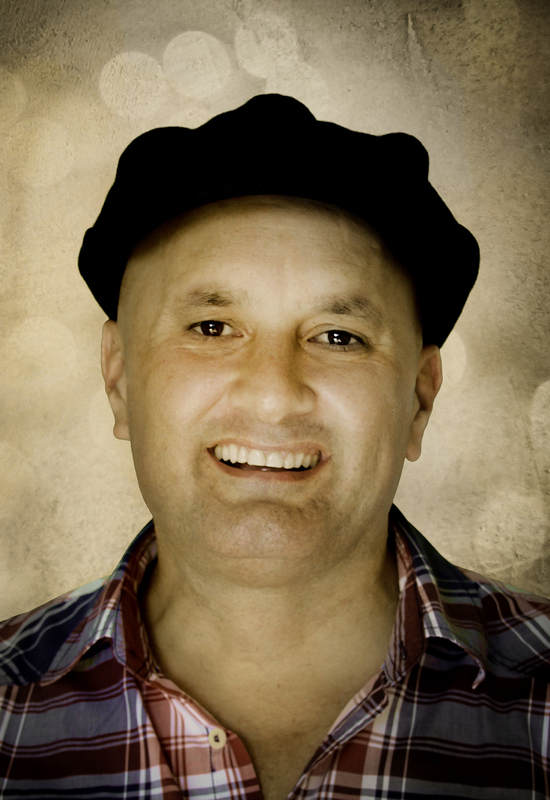 He is a child of the 20th century, born in Wellington, New Zealand. He is the second son in a family of five children. His first book, ‘Millennium – A Memoir’ was published in 2014. The book was well reviewed in The New Zealand Listener and has received many five star reader reviews. 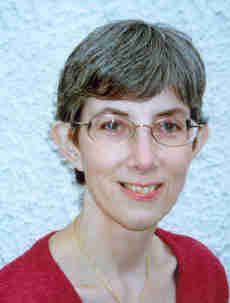 Peri Hoskins lived in Australia between 1985 and 2005. His second book ‘East – A Novel’ is a 1994 slice of life travelogue novel in the tradition of Jack Kerouac’s ‘On the Road.’ ‘East’ will launch as an eBook in August 2016. Peri Hoskins writes books and works as a barrister-at-law. My author website is at www.perihoskinsauthor.com. For a limited time I have the Millennium ebook free from my website. Here is the link bit.ly/FreeMilPH. The ‘East’ eBook is available now as a preorder both at Apple and Amazon. 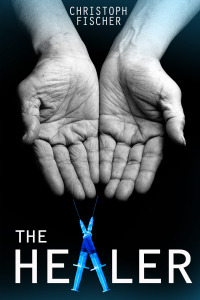 THE HEALER has been shortlisted to be the next ReadFreely Book of the Month. 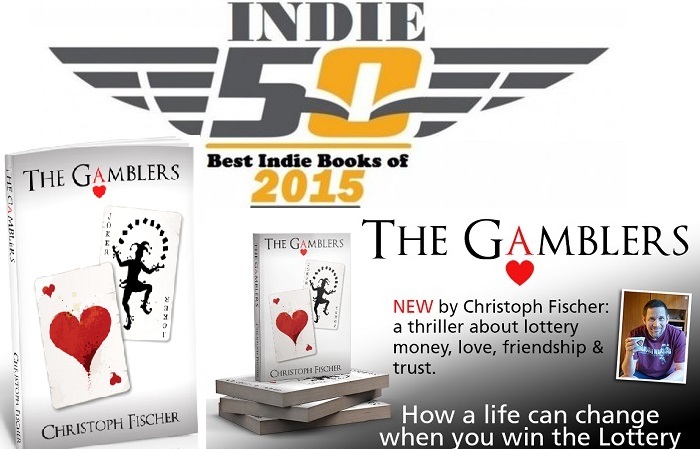 Mystery meets comedy and action in this well-written and highly addictive drama. The narrator finds herself spying on her husband and waits for him under a bed where she expects him to cheat on her with another woman. She is in for a big surprise and subsequent surprises. Interspersed in the events are snippets about the couple, how she met him at College and fell in love. This is hugely enjoyable and a real page turner – and I don’t use this term often. I found it difficult to put the book down. There is a lot of humour and self-deprication in this. Although the woman seems obsessive and goes maybe too far in her spying, she remains likeable and relatable throughout. This is a very entertaining story that I can only recommend. beginning to smolder and burn as she starts to question his fidelity. mother and under-brained friend, Maggie embarks on a search for truth. thing she had to worry about. 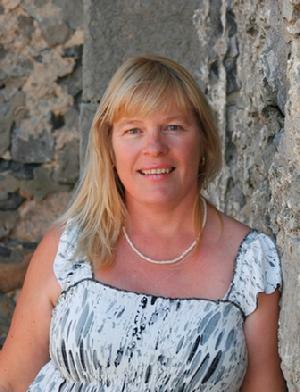 Julie Hodgson Is now living in Portugal with her husband John, has traveled extensively all over the world writing for children. Working on the children’s page of the Kuwaiti times for about a year .Just before the first Gulf conflict in 1989. And the story tellers page for the Dumfries and Galloway standard, and the press and journal Banff Standard, plus numerous other papers and short story books to her credit. She has also been featured twice in the Portuguese newspaper Aponte. Julie Hodgson now settles for a quieter life and has more time to write stories, and is in popular demand for storytelling and has visited many schools in Portugal. On Fridays the children are entertained by Julie’s stories on the local radio show, “Bom Dia “(good morning Portugal) on RTL 96fm in Portugal and is a great success with an avid following. When last interviewed on the radio Julie stressed how important it was for children to be able to read. She usually donates the proceeds from the sales of her books to charities. 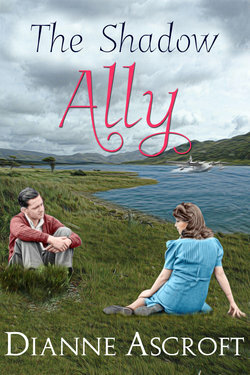 Today in the Library I am delighted to host author ­­­­­­­­­­­­­­­­­­­Dianne Ascroft, who has dropped in to say hello and to share some insights into her life as an author. Hi everyone. I’m an urban Canadian writer. I moved to Britain more than a quarter of a century ago and gradually downsized until I’m now settled on a farm in rural Northern Ireland with my husband and an assortment of strong willed animals. I write historical and contemporary fiction, often with an Irish connection. My current series The Yankee Years is a collection of Short Reads and novels set in World War II Northern Ireland. After the Allied troops arrived in this outlying part of Great Britain, life there would never be the same again. The series weaves tales of the people and the era. My previous writing includes a short story collection, Dancing Shadows, Tramping Hoovesand an historical novel, Hitler and Mars Bars. Online I lurk at www.dianneascroft.com. I’m an only child and my mother and grandfather were voracious readers so I learned to love reading early. I have happy memories of reading, sprawled in a Muskoka chair (a big wooden lounge chair) in our back garden during the summer holidays. I never lost my love of reading and still squeeze in a few minutes with a book every chance I get. There is rarely a day that I don’t spend some time reading for pleasure. I read a wide variety of fiction. I especially enjoy historical fiction set in the nineteenth and twentieth centuries, and contemporary women’s fiction. I sometimes review books for blog tours and, as a result, read books outside my usual genre preferences. 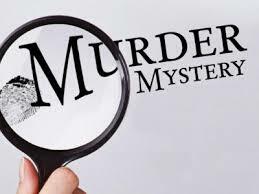 This has broadened my reading tastes and I’ve discovered that I really enjoy cosy mysteries, as well as crime novels and thrillers, if they aren’t too gory. The Short Reads in my series, The Yankee Years, as well as my first historical novel and my collection of short stories, were all self-published. I’m currently working on a novel in The Yankee Years series. When it’s ready I intend to submit it to a traditional publisher for consideration. A traditional publisher has the contacts to introduce the book to a wider audience than I can reach so I would like to try this publishing method. But if I don’t find a publisher that thinks the book fits their market, I will be happy to self-publish this one too. I really enjoy being involved in the whole process and watching the project come together. I write historical fiction and contemporary women’s fiction, and my work includes short stories and novels. Recently I’ve been concentrating on The Yankee Years, my historical fiction series set in Second World War Northern Ireland. I like to tell stories sparked by interesting items that catch my attention and I’ve found inspiration in a many different places, hence my wanderings between historical and contemporary writing. My current series was inspired by the area where I live in County Fermanagh, Northern Ireland. The county has a rich and varied wartime history and, after I moved to the area more than a decade ago and learned about this history, I became fascinated by it. During the Second World War army camps and flying boat bases sprung up throughout the county, and approximately a quarter of the population were military personnel. It must have been so different from the quiet rural area that I know. I started rooting in books, original newspapers and personal accounts to learn about the era, and many of the ideas for my stories were sparked by snippets of information I stumbled across during my research. I’m not really sure who has been the biggest influence on my writing but Irish author Jennifer Johnston’s Shadows On My Skin made a huge impact on me when it was first released in the late 1970s. Her ability to breathe life into characters and unveil a story in an understated way, as well as her skilful use of language, are wonderful skills that I aspire to emulate. I also admire Diana Gabaldon’s storytelling skill and her ability to interweave stories that unfold over several books. Both authors have taught me valuable lessons. Although my stories are set in Northern Ireland, the country where I’ve lived for more than a quarter of a century, I’m sure Canada, my country of origin, influences the way I view my adopted home. On one hand, I hesitate to tackle writing about a society very different from the one I grew up in. It is difficult to capture the nuances of life in this complex society where the tensions between the communities stretch back well before the Second World War and influence many aspects of life. On the other hand, viewing the society as an outsider gives me unique insights that I can use to convey the place and the people to my readers. Probably the most difficult aspect of the process for me is deciding what the theme of the story is and how the plot has to develop to reflect this. I spend time thinking about a new story and jot down my ideas before I begin to construct the plot. Once I have a list of ideas and information about the characters and the events in the story, I try to pull them together into a coherent plot. I then check to be sure the story flows in a believable way and each character’s actions and the reasons behind them make sense. When I begin writing the story I frequently refer back to my plot outline to be sure it is still on course. I like to write early in the morning. I’m always the first one up each morning so the house is quiet and I can write without any distractions, other than the cats clamouring for their breakfast. In this atmosphere it’s easy to gather my thoughts and put them on paper before my mind gets filled with the other tasks that I have to tackle that day. I love conjuring up ideas and scribbling down the stories that flow from them. When a story is finally completed, it’s exciting to see the finished work. The hardest or worst part is the slog in the middle when you must revise your original draft, more than once, so that it conforms to the wonderful idea you started with and turns into the book you imagined when you started writing. I enjoy meeting readers and other writers on social media. Socially and professionally, it’s a great place to be. Facebook is where you will find me most often. Finding enough free time to spend on social media is often a problem for me so, although I have a Twitter account, I don’t pop in there as often as I do to Facebook. I’m not on Pinterest or Instagram either for the same reason. A writer friend and I founded a Facebook group called The Second World War Club to bring readers and writers of wartime fiction together (we have expanded it to include World War I fiction too). In the group I enjoy working with other writers to help each other with our writing projects and chatting with readers about wartime novels. It’s lively and fun and I learn so much from my fellow members. There are several other Facebook groups I’m also active in. I just need more hours in the day to spend all the time I’d like to online. Since writing isn’t my fulltime job it isn’t really an either/or choice. Throughout my writing life I’ve worked in administration jobs so I haven’t given up another career to write. I have to fit the writing in around everything else. History has always fascinated me and I love to research so, if I weren’t writing, I might have put more time into delving deeper into my family tree. I did quite a bit of work on it about twenty years ago but have never had the time to go back to it after I started writing. We live on a farm and I enjoy the outdoors so when I’m not writing, I go for long walks and also spend time with our animals. If I weren’t writing, I would spend more of my free time outdoors. Maybe I should get something like Dragon software and dictate my stories while I’m walking. I don’t think I could pin it down to one book, but if I knew that it was the end and there was nothing I could do about it, I might want to find something I could lose myself in for those last few hours. Two authors who would do that for me immediately spring to mind. Although their writing styles are very different, both create vivid, memorable characters and settings that nearly jump off the page. They also have the ability to tell gripping stories. So my choices would be Diana Gabaldon (Outlander series) or M C Scott (Boudica or Rome series). PLEASE TELL US WHAT YOU ARE WORKING ON AT THE MOMENT. My current series, The Yankee Years, is a collection of novels and Short Reads set in World War II Northern Ireland. After the Allied troops arrived in this outlying part of Great Britain, life there would never be the same again. The series weaves tales of the people and the era. I have released Books 1, The Shadow Ally, and 3,Keeping Her Pledge, in the series, and will release Book 2, Acts of Sabotage, in late July. All three of these stories are Short Reads or Book Blasts as James Patterson describes short stories. I’m also working on a novel, An Elusive Enemy, and other Short Reads for the series. 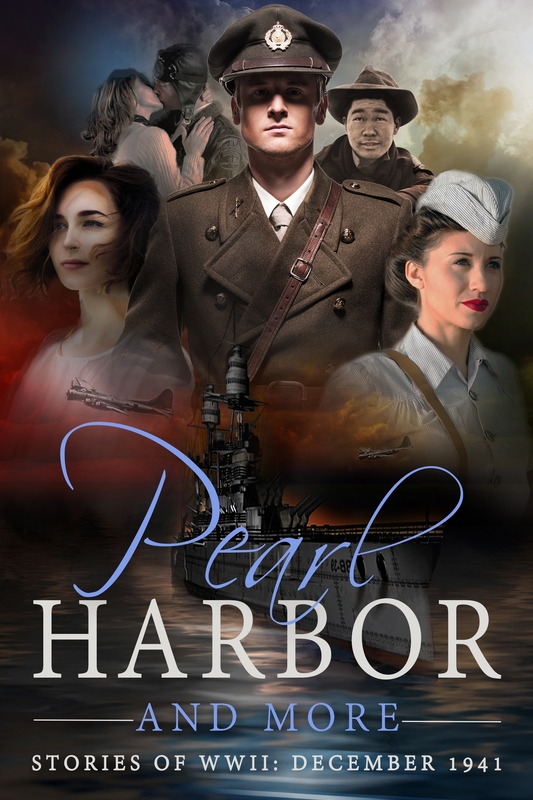 One of the new Short Reads in the series will be included inPearl Harbor and More, a collection of short stories set in December 1941 by ten authors who write wartime fiction. Pearl Harbor and More is a limited edition ebook which will be released at the beginning of November 2016 and available on Amazon until January 2017. Like the rest of the series, this novel deals with the nasty disease that is Alzheimers’, a topic close to my heart and subject of some of my own writing. As with her other work, Uvi deals with the subject with grace, precision and depth. The result is one moving and evocative novel. While facing the possible diagnosis of Alzheimers’ for Natasha, flashbacks tell the story of Lenny and Natasha: their time in besieged England during World War II, her work as entertainer for the troops, his work to thwart German intelligence and the many memories the couple share of that time. 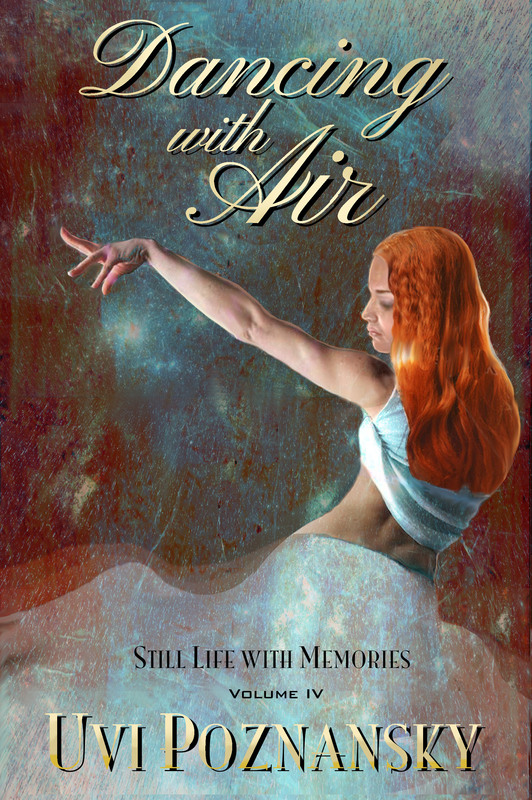 Dancing with Air is volume IV of Still Life with Memories, but you can easily read it as a standalone book. As a love story, it is unusual. Do not expect a traditional romance, one that is neatly sealed with a happy end. Life is more layered than that, and so is this story. In 1970, Lenny prepares to take his wife to the hospital for an examination. It is then that he reflects on the months leading to D-Day. Back then, Natasha did the unimaginable. She came to his help when he was caught in an underground explosion, nearly sacrificing herself for him. He will forever see her in his mind, not the way she is now, but the way she was, riding the Harley, coming towards him out of a cloud of smoke, debris swirling all around her. He will remember her hand as she pulled him up to his feet, saving his life. In the face of war, misery, illness, described in the past and framed by the present, Lenny and Natasha strive not for what is, but for what could be. Such is the power of their love. Such is hope. To write the story with authentic historical detail, I went though meticulous research into many aspects of the WWII era– the garb and hairstyle of the time, the furniture and appliances, and of course, the timeline of events. But beyond all that, I was inspired by popular music of the time, to compose lyrics that will resonate not only with your memories but also with the mood of the characters. 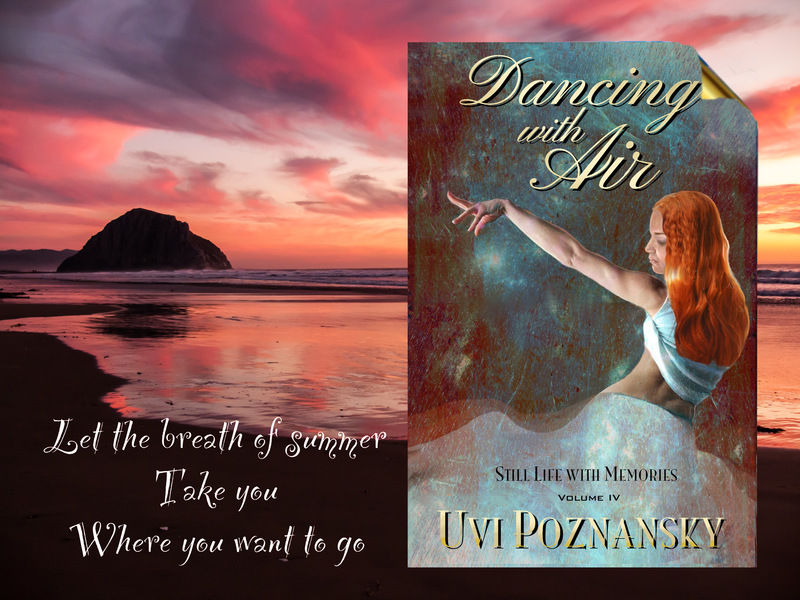 The lyrics add another dimension to the romantic feel of this book. And be here by my side? If you say that you must? Till you’re back in my arms? Upon leaving NY to serve on the European front, Lenny begins to long for Natasha. At first, he enjoys fulfilling his military task, which is to write bogus reports, designed to fall into the hands of Nazi intelligence and divert their attention from the upcoming invasion in Normandy. To fool the enemy, these reports are disguised as love letters to another woman. This task has to remain confidential, even at the risk of Natasha becoming suspicious of him. Once she arrives in London, he takes her for a ride on the Harley throughout England, from the White Cliffs of Dover to a village near an underground ammunition depot in Staffordshire. When he is wounded in a horrific explosion—the largest to occur on UK soil—Natasha brings him back to safety, only to discover the other woman’s letter to him. 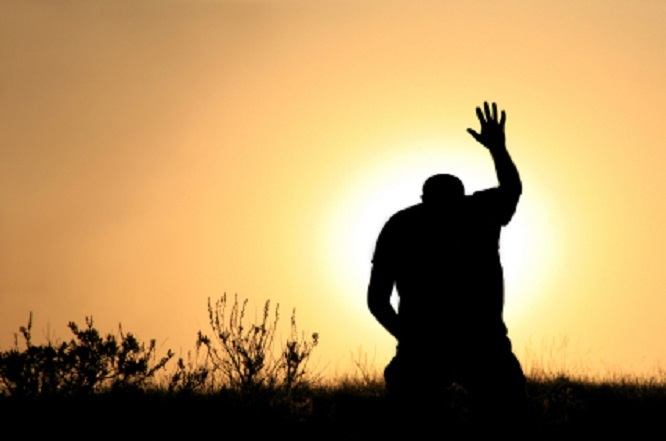 Now, the one worry that lays heavily on his mind is this: Will she trust him again, even though as a soldier, he must keep his mission a secret? Will their love survive the test of war? In the past Natasha wrote, with girlish infatuation, “He will be running his fingers down, all the way down to the small of my back, touching his lips to my ear, breathing his name, breathing mine. Here I am, dancing with air.” In years to come, she will begin to lose her memory, which will make him see her as fragile. “I gather her gently into my arms, holding her like a breath.” But right now, during the months leading up to D-Day, she is at her peak, ready to take charge of the course of their story. What do our shopping habits, high-heeled shoes, and big hair have to do with how we perceive ourselves? Do the slights we endured when we were young affect how we choose our relationships now? D.G. takes us on a journey, unlocking the hurts of the past by identifying situations that hindered her own self-esteem. Her anecdotes and confessions demonstrate how the hurtful events in our lives linger and set the tone for how we value our own self-worth. Words We Carry is a raw, personal accounting of how the author overcame the demons of low self-esteem with the determination to learn to love herself. I am amazed to find myself having so much in common with D.G. Kaye. When she writes about low self esteem and how she drew her lessons from life, I often felt this could have been me. I was an overweight teenager and heard the same things said to me. Her book is an utter treasure, full of honesty and excellent analysis of the psychology and behavioural dynamics of low self esteem: How it affects your life, your relationships and life choices. 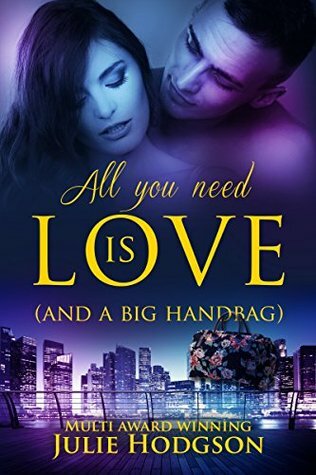 But for-warned is for-armed, as they say, and with this in mind, D.G.Kaye has turned the bad situation around for herself by facing her demons and finding ways to understand her needs and errors. By sharing her insights and advice with us we get a chance to learn from her experience and thought processes. There isn’t much in this book that I couldn’t full heartedly agree with.